Working for Obama is the natural extension of your devotion to Christ. Before I get to Michelle Obama let me bring something up that few are talking about. No one is talking about is the crime Obama is committing against Black Pastors or the torture of the conscience of Black believers. The Obamas know that the overwhelming majority of Christians in the black community believe the Bible is the word of God and oppose Gay Marriage. Now the Obama message is, “working for my reelection is the natural extension of your devotion to Christ.” This is exactly what Jesus would do if He were here today. He would be out telling the people to vote for Barrack Obama. He would be organizing rallies to force wealth to be redistributed. He would be going door to door espousing the virtues of killing unborn children and lobbying for the right of men to marry men. Jesus walked with sinners and ministered to prostitutes but He saved His most ardent and pointed rebukes for the Pharisees. Mark 7: 6 “He answered and said to them, “Well did Isaiah prophesy of you hypocrites, as it is written: ‘This people honors Me with their lips, But their heart is far from Me. 7 And in vain they worship Me, Teaching as doctrines the commandments of men.’ 8 For laying aside the commandment of God, you hold the tradition of men —the washing of pitchers and cups, and many other such things you do.” 9 He said to them, “All too well you reject the commandment of God, that you may keep your tradition.” Their crime was plain and simple: Twist the teachings of Moses then overlay the traditions of men over the Word of God in order to maintain power over the people. It is hard for us to fight feelings of anger and helplessness in a world that seems to ignore our voice and disregard our concerns. It is easy to feel that life is random and we have no power to control but if you can answer the question that I am going to ask in this blog you can become unstoppable. The hope of His calling: There is not only a hope of His calling; there is hope in His calling. There is a great hope in knowing that you are called to be here at this time in order to do a special work. You are not abandoned, forgotten, misplaced or marooned on earth, you are on assignment! It is no accident that words like purpose and destiny are all over the landscape of the church. We all sense intuitively the urgency of these words. Life must have meaning! It is the depth of meaning that we find in life that determines our level of endurance. The bigger the sense of WHY we are here, the greater our power to face WHAT is here. The more value that we place on our life, the more we will expect from our life. ourselves and what we are doing. It is a profound sense of mission that makes people productive. The atheist and the agnostic face an unrelenting sense of meaninglessness. To them, life is a cruel accident. This is why I want to impress upon you one very great fact: it is not ease and comfort that make life bearable and it is not trials and tribulations that make life unbearable. Suicide is pandemic among the rich and idle. But the joy of the Lord saturates missionaries fulfilling their calling in the most horrendous circumstances. You are not seeking the easy life, you are seeking the life you were born to live. You seek that life that unmistakable stamp of divine approval. You are an ambassador of God and that makes your home an embassy. That means that you are here to do something that no one else can do and to do in a way that no one has ever done before. It means that all of the authority of heaven stands ready to defend and strengthen your efforts. That means that any anger or resentment you see is directed at God and not at you because the battle is not yours. The call of God on your life must be more real than anything else about you. Everyday is your defining moment. Let me say it another way: The life that lacks destiny, though it boasts of everything else is but a leaf in the wind. The life that knows it is here on purpose and for a destiny cannot be stopped by anything. The best way to avoid action is to keep talking. There are people who love to talk about what is wrong, who is wrong, what disaster will strike if we do not do something, and even expand on amazing ways to fix the problem. They keep talking hoping that you do not notice that they are doing nothing. I will never forget when Chris Rock interviewed Reverend Jesse Jackson. Chris Rock asked him simply, “what do you do?” The reverend began pouring out a stream of rhetoric. Chris Rock interrupted, “yeah, I know about that but what do you do?” Befuddled, Jackson started in again with high sounding verbiage. Again, Rock came back with, “I know about that, but what do you do?” This went and on until Jesse ripped his mike off and stormed out of the studio. The biggest lie anyone will ever tell, is the truth they keep on telling emphatically, loudly and for so long that you do not notice that they have postponed action indefinitely. At Mario Murillo Ministries we have endeavored to build a culture of action. I believe that staff meetings are guilty until proven innocent. My theory is that as long as we are sitting around talking about what we are going to do, we are not doing it. Years ago, someone got us an elegant conference table and comfy chairs that you could sink into. I hated this furniture so much because it caused people to smooze. Until I got rid of it, I made our staff meet in the hall and stand through the whole meeting. I kept using the hallway even after we got better furniture because I noticed how quickly people got to the point when we all had to stand. William J. Lock said, “I believe half the unhappiness in life comes from people being afraid to go straight at things.” The devil wants to us to do everything except get started. The tendency today is to stare at our dreams rather than to live our dreams. Many times God has asked me to do the seemingly impossible. I learned to listen closer for the most important thing about vision…taking the first step! I learned that when something looks impossible, start it, and then God will give out the next step, and then the next, and soon you will see that with God all things are possible. Often the greatest enemy of wisdom can be conventional wisdom. Take this Summer for example. Conventional wisdom says to hit one city after another. Instead, we have found that God wants to dig in and drill a well of supernatural salvation in a city, alter the DNA of churches and leave behind trained workers. Then when you get a major breakthrough conventional wisdom will say “stay here because of the great success” and suddenly, God will move us on. Our reliance on signs and wonders is not for exotic titillation, it is to win souls. We have no stomach for events that amuse bored believers and leave lost souls out in the darkness. Just because our meetings are boisterous does not mean we will let them get spooky. We do not follow trends whether they be in worship, tactics or the latest buzz. We are bent on being effective and taking actions. 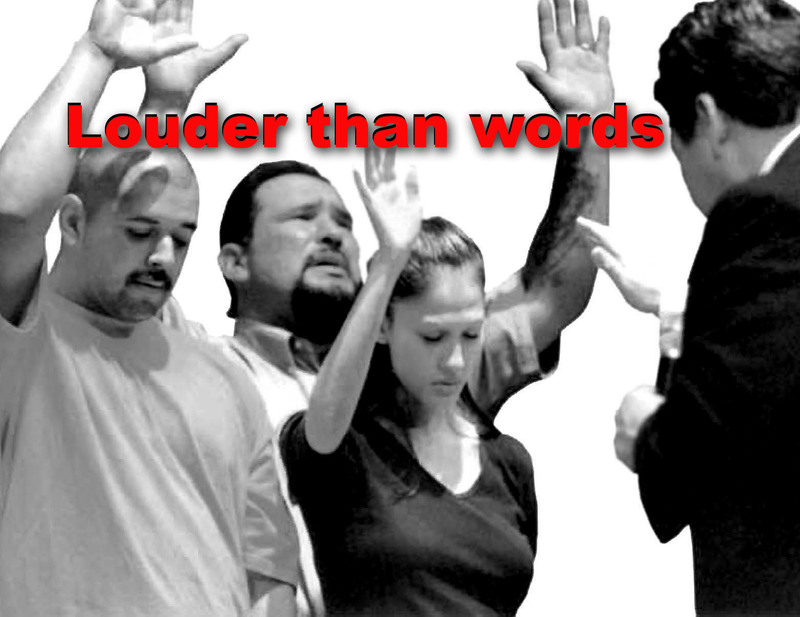 We are a ministry that is endeavoring to be louder than words. Part Two: An open letter about a dangerous lie. I admit that this caption is a little over the top and may seem simplistic and no I am not trying to pull illegal votes away from Obama to Romney. But now that I have your attention let me explain. I am speaking out in this blog as a private citizen not as an evangelist. When I am in the pulpit I am consumed by the call to destroy the works of the devil through the Gospel. This blog is my sole outlet to speak out on issues that burn in my soul for my people and my nation. 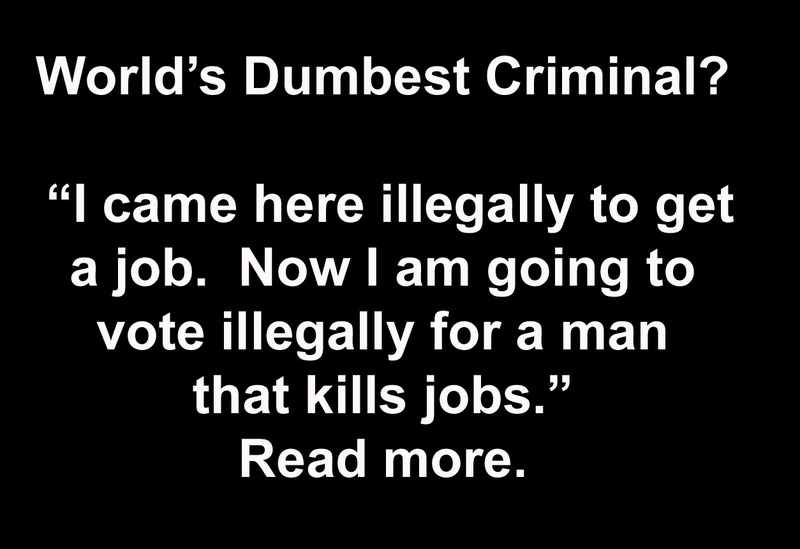 Obama is a job killer. He has never done anything in his life that has equipped him for managing a hardware store let alone the most powerful nation in the world. What makes him even more dangerous is his zeal for a bankrupt ideology. He has malice toward capitalism and he embraced Marxist tactics that making lying a noble act in the course of achieving “justice.” He wants to forcefully take money from those who worked hard and succeeded and give it to many who refuse to work. Some still reel from the kool aid saying, “Give Obama a chance.” 4 years is more than a chance and he spent the first two years utterly ignoring the economy while he forced through a health care bill that most Americans hate and is on life support in the Supreme Court. He wasted those years because he does not care if you get a job. Now he has become even more dangerous. He seems to be abandoning all ideology except for one, his ideal of being reelected. Even Jimmy Carter has turned on Obama for violating human rights! Jimmy Carter??? The former president (76-80) of the United States Jimmy Carter, blasted his Democratic Party’s incumbent president Barack Obama and his administration of blatant violations of human rights. In a 25 June New York Times article titled “A Cruel and Unusual Record,” Carter blasts the administration‘s foreign policy decisions and the implications for the United States’ “moral authority” around the world. The media still sees Obama as a darling that must be protected from criticism. Bush hunted down captured and water boarded Al Qaeda leaders to get information but Obama kills,reserves the right to kill Americans, then leaks the secret that he kills to appear like he is a strong leader…yet the media says nothing. I believe that Obama sees himself as a dictator. He knows he cannot win reelection on his record so he bends laws, side steps laws and arrogantly believes he is smarter than the rest of us. Today, he is counting on the Latin Community to not see the folly of voting for him. He is again making promises in exchange for votes. The Hispanic community is in for a unspeakable let down because the money will run out and America will become worse than the desperate place from which they escaped. 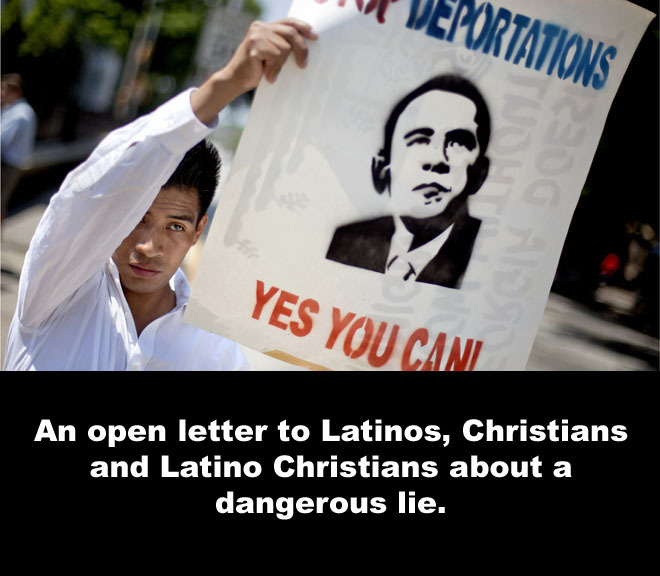 An open letter to Latinos, Christians and Latino Christians about a dangerous lie. Both Supreme court justice Ruth Bader Ginsberg and President Obama share a disdain for the American Constitution. Both have sworn to uphold it and defend it but both have openly admitted that they see it as a limitation to the America they want. It is time for you the reader to see the great lie and how it affects you! Jefferson penned these immortal words, “We hold these truths to be self-evident, that all men are created equal, that they are endowed by their Creator with certain unalienable Rights, that among these are Life, Liberty and the pursuit of Happiness.” The American dream draws its life from these words. Ginsberg and Obama dislike Jefferson’s words because of the word “pursuit.” They believe that government should not merely provide the freedom to pursue happiness… government should guarantee happiness. A cradle to the grave nanny state. However, this gives government supreme control of your life and that control has never delivered happiness. This victimizes minorities by making them dependant. I am an American with Latin roots and I believe that Latinos have a shot at prosperity if they do not allow themselves to be defined as a victimized minority. I know firsthand what a ghetto can do to your mind. Again and again I have said that Jesus did two miracles for me. First He got me out of the ghetto and then He got the ghetto out of me. Latinos should not be fooled by Obama’s pandering to us. He has had years to deal with issues that affect the Latin Community and he did nothing. He only wants to be reelected. The eyes of every Latino should be on the economy. You want a paycheck not food stamps. There is a reason that Obama is furiously tossing out Band-Aids and false promises. He has epically failed to fix the economy because he despises the pursuit. To all Christians I say, do not sell your soul because Obama has promised you free money. This is not free money, only government controlled slavery. We already know the result. It creates and sustains ghettos. 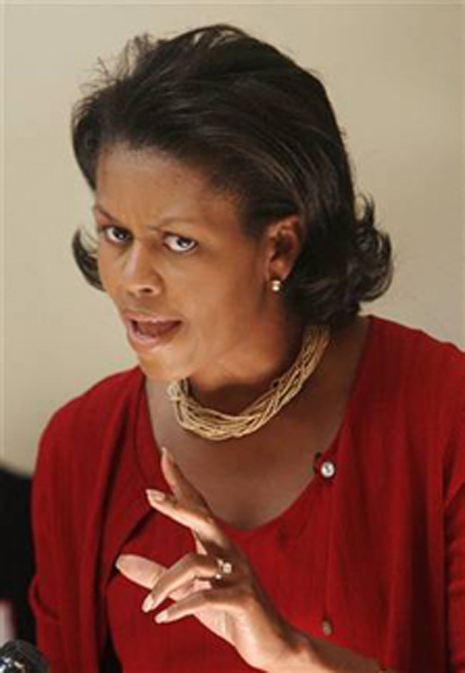 You need to realize that Obama wants you to keep him in the White House with a vote that keeps you in the ghetto. More later today. 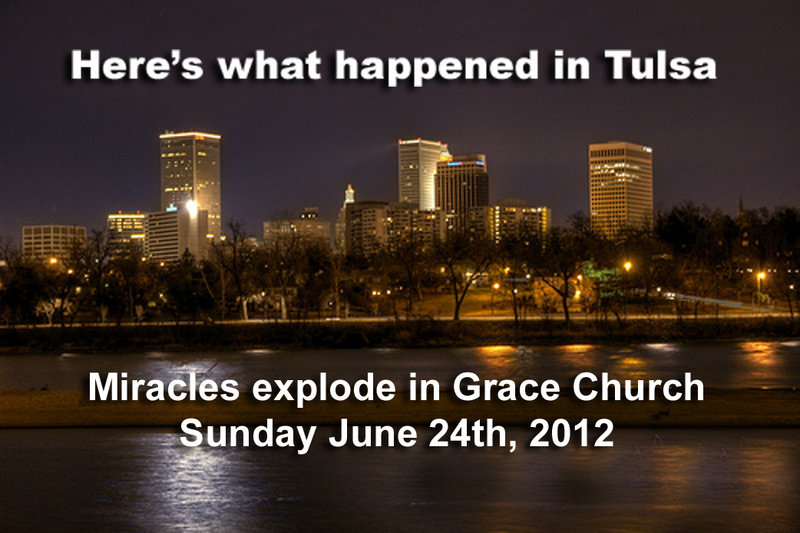 Tonight in Tulsa: This Changes Everything! Tonight in Tulsa the power of the Holy Spirit came down drenching the audience with miracles. Many of you may know that I was supposed to continue with our outreach to Santa Rosa for another week. I felt strongly that we were to resume the meetings in Santa Rosa on July 1-4. Tulsa was an important commitment and it there is no doubt now that it was the right move. Pastor Bob Yandian’s son Rob has just taken over as Pastor of Grace Church. The Holy Spirit ordered me to issue an unusually straightforward challenge to this congregation in transition. Tulsa does not need another seeker church. It needs a church ablaze with revival and miracles. In the last three weeks that Rob Yandian has begun regular duties as pastor, healings have started appearing in every service. It was my hope to simply intensify the momentum that was already here. I told them that this moment in history is a good news bad news situation. The good news is that God is pouring out His Spirit in an unprecedented way the bad news is that this outpouring is because of the disaster that our nation is facing. The message entitled, This Changes Everything talked about the man who gave a great banquet in Luke 14: 16-23 “A certain man gave a great supper and invited many, 17 and sent his servant at supper time to say to those who were invited, ‘Come, for all things are now ready.’ 18 But they all with one accord began to make excuses. The first said to him, ‘I have bought a piece of ground, and I must go and see it. I ask you to have me excused.’ 19 And another said, ‘I have bought five yoke of oxen, and I am going to test them. I ask you to have me excused.’ 20 Still another said, ‘I have married a wife, and therefore I cannot come.’ 21 So that servant came and reported these things to his master. Then the master of the house, being angry, said to his servant, ‘Go out quickly into the streets and lanes of the city, and bring in here the poor and the maimed and the lame and the blind.’ 22 And the servant said, ‘Master, it is done as you commanded, and still there is room.’ 23 Then the master said to the servant, ‘Go out into the highways and hedges, and compel them to come in, that my house may be filled. The goal is a full house: He had a hatred of empty seats: Verse 22 And the servant said, ‘Master, it is done as you commanded, and still there is room.’ Verse 23 Then the master said to the servant, ‘Go out into the highways and hedges, and compel them to come in, that my house may be filled. That America prefers banality to Jesus changes everything! That churches prefer insipid social klatches to revival changes everything! That our government wants a Godless culture changes everything! Then out of nowhere miracles broke out. By the power of Jesus alone I asked a woman on the front row to stand. A litany of words poured forth. The Holy Spirit revealed the length of her illness, all of the places that she suffered and instantly all pain vanished from her body. Before the audience could recover from this, it happened again, and to God be all glory, yet another had minute details revealed about her diseases. A wife grieving over her husband’s heart condition was overjoyed when the exact word for him came forth. In one person, the Spirit required me to list all 14 ailments in their body. Just when it seemed it would stop another wave of healing came crashing in engulfing the entire church in a heavenly presence of God and healing. On and on it went until it was undeniable that miracles had taken place in every part of the church! The most wonderful part of the night was when we saw lost souls line up across the front of the church and shed old fashioned tears of repentance. Pastor Bob Yandian has asked me to return in the near future for a weeklong meeting here at Grace. I am returning to California knowing that we are at the point where fire will break out no matter where we go! Kenneth E. Hagin left yet another deep well of revival in Tulsa right alongside of Oral Roberts and T.L. Osborne. In August 1934, Rev Kenneth E. Hagin was miraculously healed, raised off a deathbed by the power of God and the revelation of faith in God’s Word. Jesus appeared to Rev. Hagin eight times over the next several years in visions that changed the course of his ministry. In 1967, he began a regular radio broadcast that continues today as Rhema for Today. In 1968, Rev. Hagin published the first issues of The Word of Faith magazine, which now has a monthly circulation of more than 300,000. The publishing outreach he founded, Faith Library Publications, has circulated worldwide more than 65 million copies of books by Rev. Hagin, Rev. 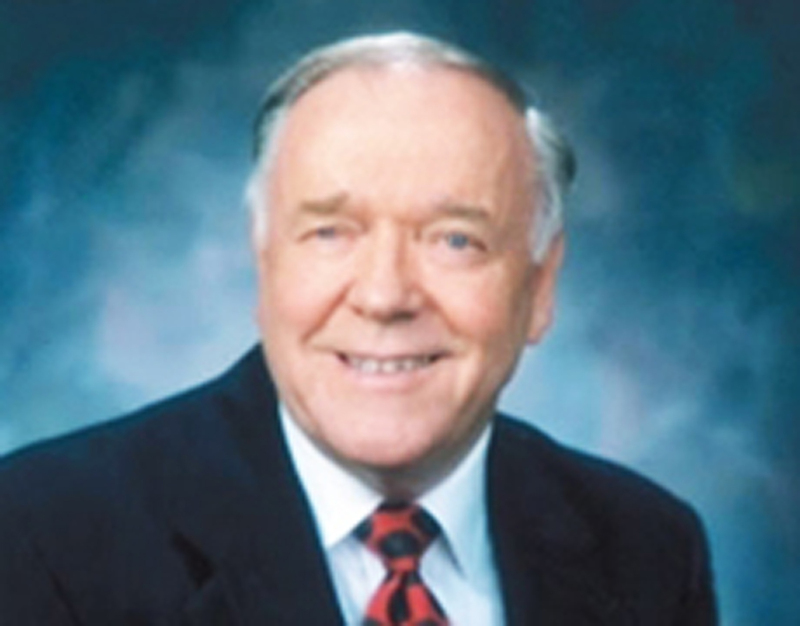 Kenneth W. Hagin, and several other authors. Faith Library Publications also has produced more than 9 million audio teaching CDs. In 1974, Rev. Hagin founded RHEMA Bible Training Center USA, which to date has over 24,000 alumni. RHEMA Bible Training Centers have opened in 14 other nations: Australia, Austria, Brazil, Colombia, Germany, India, Italy, Mexico, Peru, Romania, Samoa, Singapore, South Africa, and Thailand. Together, the 14 schools have more than 29,000 graduates worldwide. It is important to note that he was concerned that people were turning his teachings into a formula that did not make room for the moving of the Holy Spirit. To that end, he travelled near the end of his life in rallies that featured great moves of God. He also gathered together many of the voices that were teaching prosperity and rebuked them for imbalance. Tonight the contributions of Dr. Oral Roberts, Dr. T.L. Osborne, and Kenneth E. Hagin weighed heavy on me. I cannot revive Tulsa. I have no illusions about my influence here. It will take a great overruling of darkness and unbelief to turn this great city back to God. However, it was wonderful to feel the people of Grace embracing the move of God. This gave me great faith for an outpouring of the Spirit. They were bold and flowed freely in miracles tonight. Indeed they understood that we must reopen the wells of our fathers. It is time for Tulsa! Tomorrow I will preach three different sermons. Everyone left knowing that a great act of God was about to crash into this awesome family of believers.